The Microsave Microwave Liner provides total protection for the cavity, the roof, sides, back and base of a commercial microwave oven, saving not only hundreds of pounds in repair costs which are not covered by the manufacturer’s warranty, but also valuable time in keeping the oven clean and hygienic. These ovens become the obvious candidates for the Cavity Protection System when considering the LOSS OF PROFITS due to the “downtime” of the microwave, which could result in expensive repair costs, makes the Cavity Protection System a clear necessity. The good thing is that the majority of these costs could be saved using the Cavity Liner, which protects the most vulnerable exposed parts. It massively increases the standard of hygiene and makes cleaning of the microwave simple, quick and efficient. Models available are the CPS1A which covers the SHARP range of Heavy Duty Compact microwave ovens, the CPS2A for the PANASONIC Heavy Duty Range and the CPS3A for the Daewoo range of heavy duty and marine commercial microwave ovens. 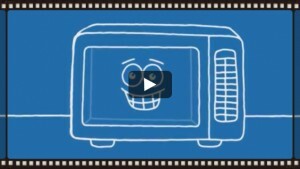 The Cavity Liner helps keep the cavity of a Commercial Microwave oven clean and “Looked after”. A clean oven is an efficient oven. Environmental Health Officers check commercial microwave oven for cleanliness. After each session, just wash with a little washing up liquid and warm water, spray rinse, then dry or leave to dry. It can also be placed in a non caustic dishwasher. Food Particles left on the ceiling plates, base plates and light lens can cause serious damage to the interior of a microwave as they carbonise cinder and then arc. Having a Cavity Protection Liner in the oven will alleviate these problems. Commercial Microwave Ovens that are not clean tend to break-down during the busy periods mostly due to ceiling plates sparking or base plates breaking. The Cavity Protection Liner avoids this. The costs of just one repair would pay for a Cavity Protection Liner and in the future will save hundreds of pounds in repairs. At the heart of the new system is an ingeniously designed TPX liner which is easily removed, cleaned and replaced in the microwave, protecting the entire cavity from grease and food particles which, if left, can cause serious or even un-repairable damage to the oven. The liner can be removed, cleaned (for example in a non-caustic dishwasher or pot wash) and replaced into the microwave oven, keeping its cavity clean as well as helping to avoid costly repairs and downtime. It is a cost effective, easy to clean, Cavity Protection System offering significant financial and operational advantages by helping to maintain a clean oven, which helps prevent costly damage and can assist in avoiding inconvenient downtime. It has a unique base design, which enhances the airflow circulation under the product being cooked or reheated. A key aspect here…less than 50% of the bottom of the cooking dish is on the base of the liner at any one time, resulting in further protection of the base plate. The unique lip retains any overflows or spills, which may occur during the cooking/reheating cycle. The designs, ideas and concept are covered by Patents with worldwide patents applied for. The wording “Cavity Protection System” and “Cavity Protection Liner” are trademarks of Cavity Protection Systems Ltd. 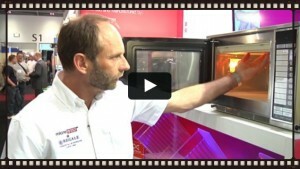 This system has been designed and invented by two authorised commercial microwave oven engineers who have been carrying out service, as the manufacturer’s authorised service agents since 1983! Having supplied to, and serviced microwaves in many major brewery groups down to the small country public houses, restaurants and clubs, we have witnessed the problems experienced in keeping the microwave cavities clean, it needed to be urgently addressed, so after many years of research and development, the new Cavity Protection System Liner for the SHARP, DAEWOO and PANASONIC heavy duty compact Microwaves came into being!